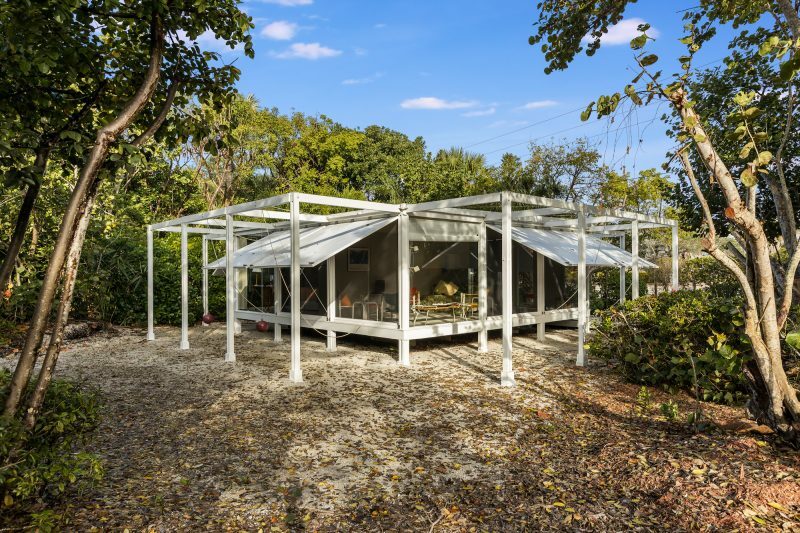 This rare opportunity on West Gulf Drive in Sanibel, Florida includes a beautiful main house as well as a very famous guest house. 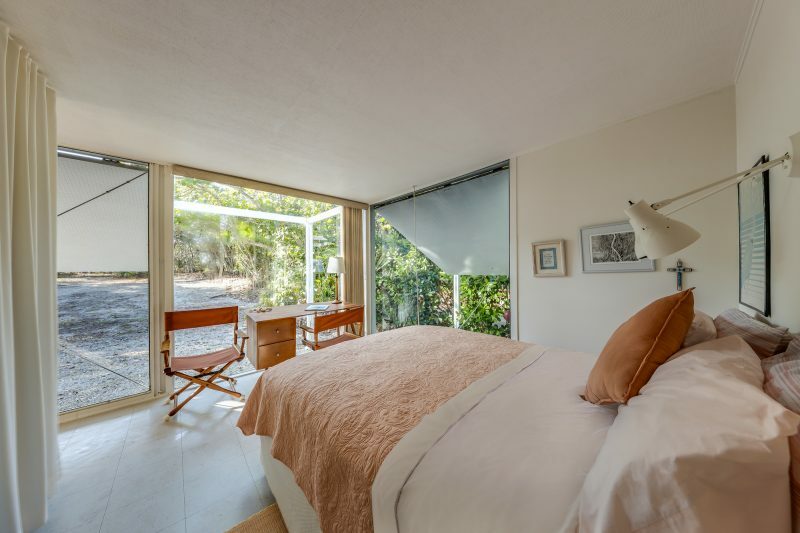 Located near the cul-de-sacm this 1.7 acre property offers 200 feet of beach frontage, a three-bedroom main home on a high ridge with breathtaking Gulf of Mexico views. The home has an open floor plan, high ceilings, office/loft with fireplace and multiple decks. 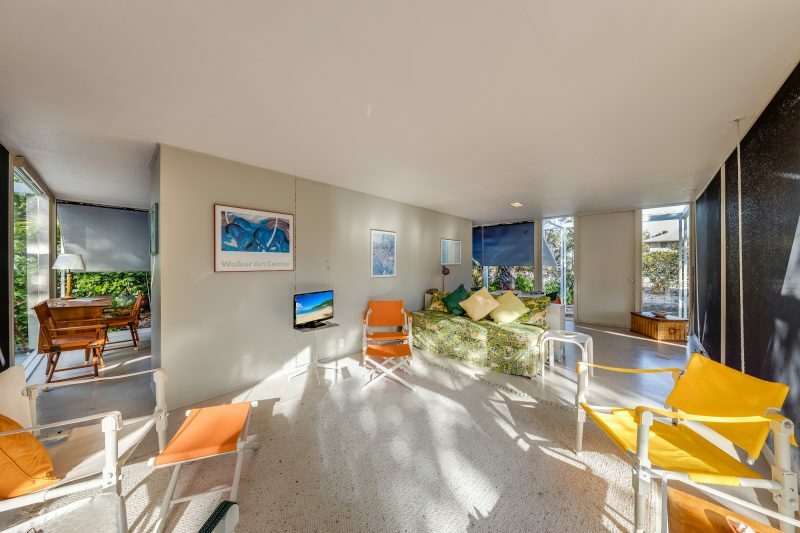 The guest cottage is internationally known as the Walker Guest House and was designed by architect Paul Rudolph. 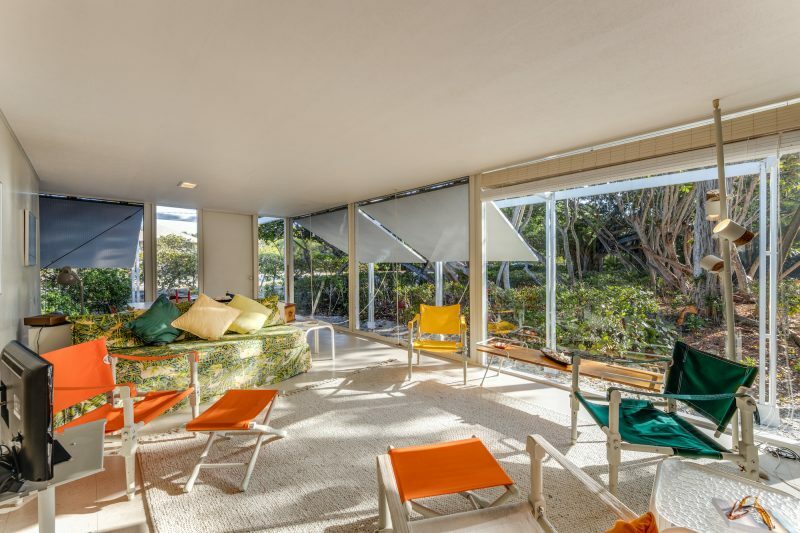 This cottage is considered the pedigree of mid-century modernism and was recognized by the AIA Florida Chapter’s Best Residential Building in the State of Florida. The project is also known as the “Cannonball House” because of Rudolph’s use of red cannonballs as weights to hold the home’s signature wood panels in place. 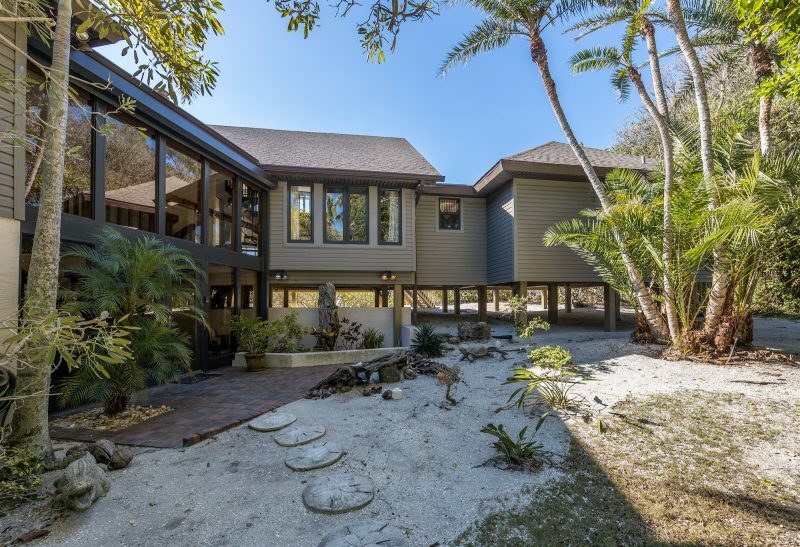 Lush vegetation abounds on this pristine property that has been owned by one family for four generations and is one of a few Sanibel residential gulf parcels that allows two structures. This property is listed for $6.495 million with VIP Realty Group, an affiliate of Luxury Portfolio International®.